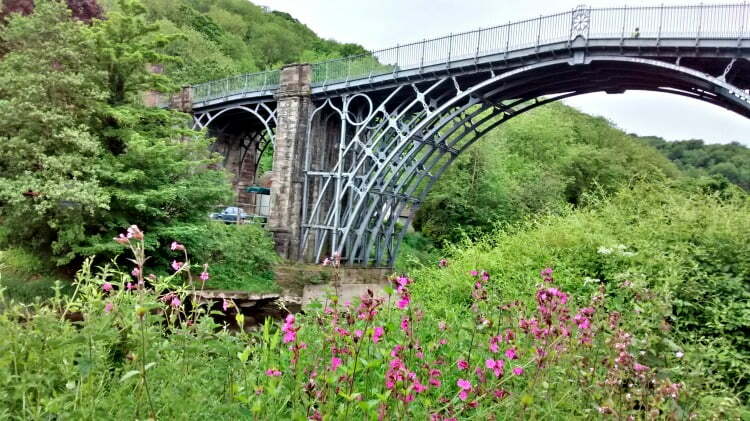 Ironbridge in Shropshire was recently voted the UK’s top World Heritage Site by the Tripadvisor community. It is the place where the first Iron Bridge in the world was built by Abraham Darby in 1779, marking the start of the Industrial Revolution. 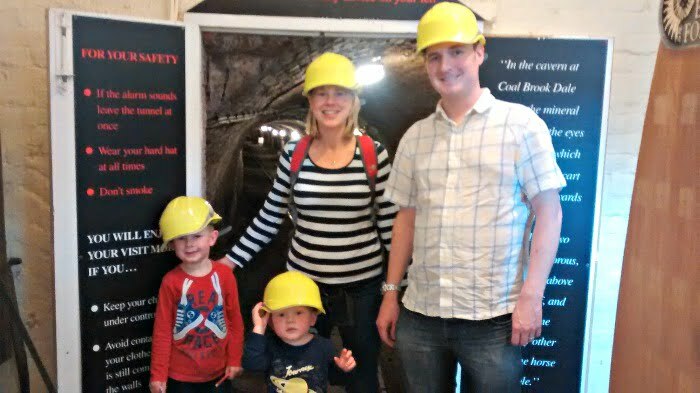 The mines and iron works which characterised this area are now quiet, leaving the lovely market town of Ironbridge and loads of family friendly attractions to explore in its place. We spent a wonderful weekend in Ironbridge making use of the great value Annual Passport Ticket which allows unlimited entry into 10 Ironbridge Gorge Museums for £68 for a family of 4. These are our highlights of the best things to do in Ironbridge with toddlers. The tar tunnel got a big thumbs up from my 5 year old and 2 year old! This is an underground tunnel, which you can walk along and see the bitumen oozing out of the walls creating pools of tar. The boys loved donning their hard hats and exploring. The tunnel is only about 300 feet long so it is easy for toddlers to walk on their own, and it took us about 20 minutes to explore fully. Babies would be best carried in a carrier as you wouldn’t be able to get a pram in the tunnel. 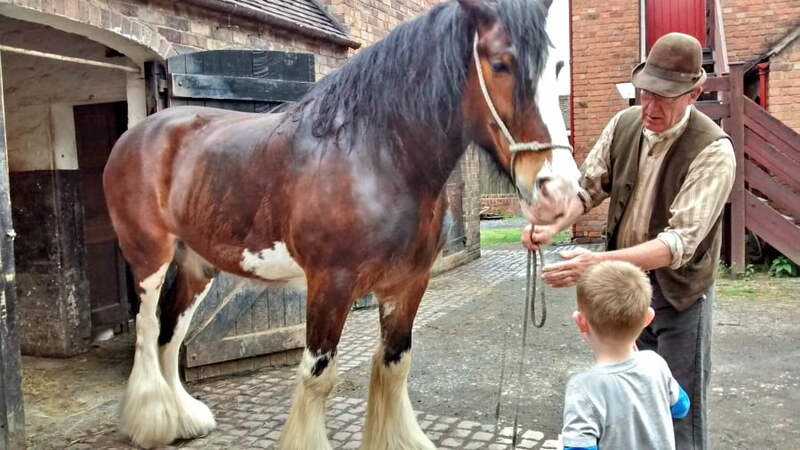 This open air museum recreates Victorian life by enabling you to explore the shops, cottages and places of work from Victorian times, as well as letting you meet the people themselves. We spent a fun morning here – first stop was a trip to the bank where you can exchange money into pounds, shilling and pence in case you fancy buying anything from the shops (normal money is accepted too). Then we had a wander down the street popping into shops such as grocers, chemist and printers and chatting to the shopkeepers. 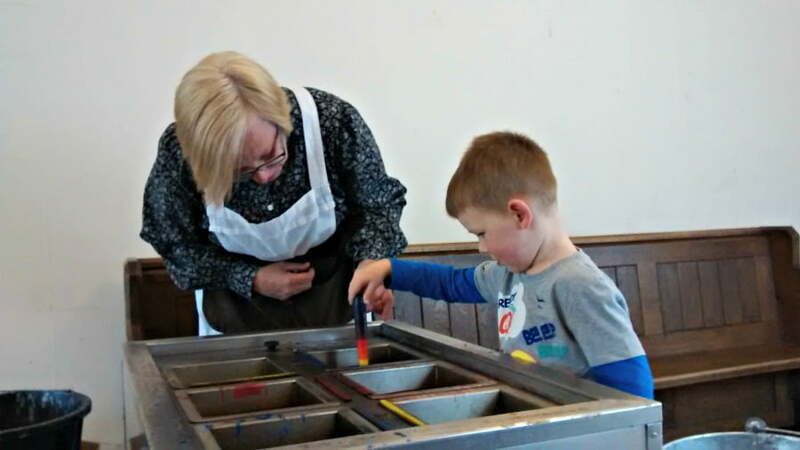 We spent a bit of time at the printers learning about how they used their printing machinery, and at the candlemakers where the boys were enthralled watching a demo of how to make candles. Daniel, the 2 year old, loved seeing the horses at the stables and then seeing them again wandering around the town. He was also really interested in wandering into the cottages and houses further down the main street. The layout of the town means it is lovely for toddlers to be able to wander around popping into the different shops and houses to have a nosey and see what is going on. At the bottom of the hill there is a Victorian fairground. The rides in the fairground are not included in the entry price, and cost £1 each. There was a swing which was fun, but most of the rides have height restrictions so weren’t suitable for toddlers (much to the 2 year olds displeasure). There was also a train ride (payable extra) as well as a funicular (included in the entry fee). Both boys loved being the ‘driver’ and operating the funicular. There were various events going on such as candle making (£1) and flag colouring. Both boys really enjoyed participating in these activities and Matthew’s rainbow coloured candle is currently in pride of place in our house! Most of Blists Hill is accessible with a pushchair and there are baby change facilities. 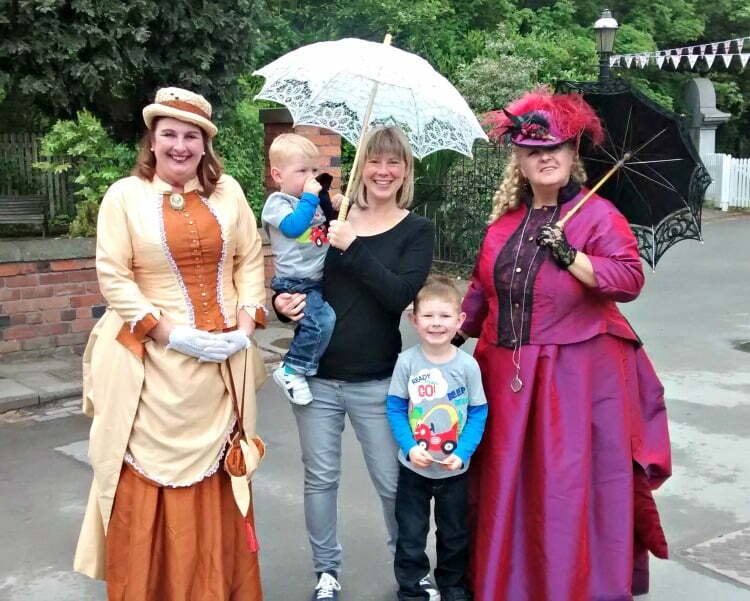 Meeting the people who live in Blists Hill Victorian Town! Enginuity is a fab science and technology centre which is really hands on, engaging and most importantly fun. It is all indoors so it’s great for a rainy day, but even if it’s not rainy you should definitely make the effort to visit as there is so much to do for young children and adults alike. Our highlight was Power Valley, which is a giant water display where you can move water using the dams, rivers, tunnels and locks. My boys threw on their waterproof aprons with gusto and spent ages moving boats through the water (and getting a little bit wet). This display was quite low down so 2 year old Daniel could easily get involved. 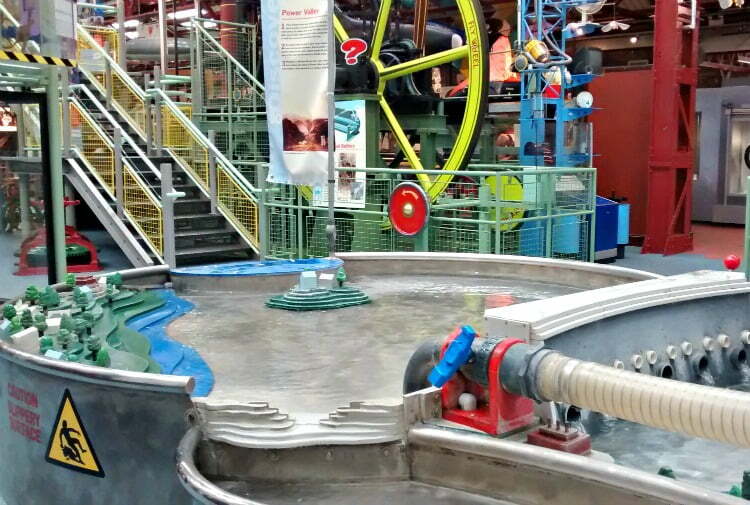 Enginuity is the kind of place where you can let you children run off and explore. You never have to tell them not to touch because touching is encouraged. 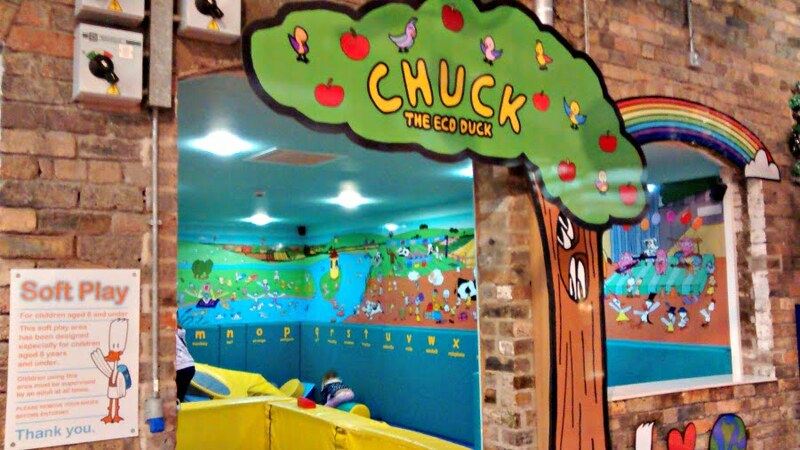 There are all sorts of experiments and displays to teach children about science, and there is also a Under 6’s soft play area for when they fancy doing something different. There is also a Manufacturing Desk where there are things laid out ready to make (what a fantastic idea! ), and a workshop with special arts and crafts to make and activities such as a Magnetic Treasure Hunt. You can’t come to Ironbridge without seeing the bridge where the Industrial Revolution started. And what a beauty it is too – the world’s first cast iron bridge connecting two sides of a steep gorge over the River Severn with the picturesque market town of Ironbridge on one side. You can park at one side of the bridge, have a wander over it and stop at the Toll House Museum. This museum is really interesting, but most of the information is displayed via narrative on walls and my boys were too young to read it. Still, they loved walking over the bridge and looking back at it along one of the paths which ran alongside the river. There are lots of shops in Ironbridge too which are worth a look. We didn’t have time to visit this museum on our visit, but this is definitely somewhere I would like to go next time. The museum has free entry (car parking charges apply) and you can see over 70 aircraft in 3 hangars. You can see the world’s oldest spitfire, a Lincoln bomber and the Vulcan, Valliant and Victor bombers. There is also the Cold War Exhibition which tells the story of the Cold War. On the outskirts of Telford, Hoo Farm is an excellent day out for families with babies and toddlers. There are over 400 animals to see, an outdoor play area and a tea room. We are huge fans of the National Trust and always try to find a property to visit wherever we go. Attingham Park is aprox 20 minutes from Ironbridge in Shrewsbury and has woodland, park land and a deer park to explore. Attingham Park is also a great place for toddlers to learn how to ride a bike. Children aged 5 years and under are permitted to enter the grounds on tricycles, balance bikes or bikes with stabilisers – standard bikes aren’t allowed so it is a great place to learn how to ride in a relatively safe environment. Baby & Toddler Friendly Places to Stay in Ironbridge. 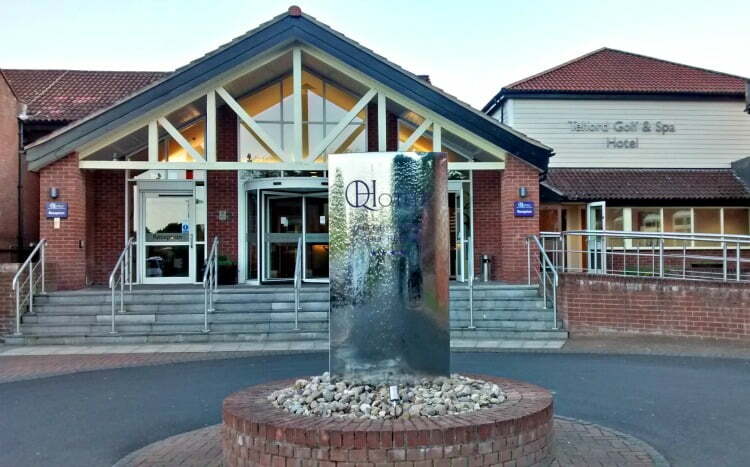 We stayed at the Telford Hotel and Golf Resort, which part of the Q Hotels chain. It is a lovely hotel which is really family friendly – as could be seen by the number of families who had chosen to stay there. The boys were really excited when they were given an activity park containing games and puzzles on arrival, and I was even more excited when I spotted the swimming pool, steam room and sauna. We stayed in a Family Room which was really spacious with a large king size bed and 2 additional single beds. My 2 year old has just come out of his cot, but the hotel had cots available if you needed them. The room was full of really nice touches such as a box of chocolates (swiftly moved before the boys could spot them), and tourist leaflets of local family attractions. The children’s beds were made up and they had little toiletry sets on them. There is free WIFI for the duration of your stay, which was a big plus. One of the best things about the Telford Hotel and Golf Resort is its location. 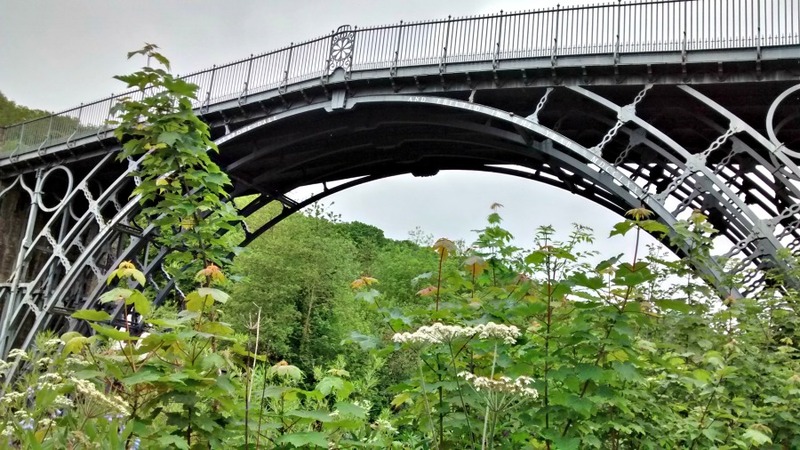 It is a few minutes’ drive away from all the attractions in Ironbridge, and you can actually walk down to the Iron Bridge itself from the hotel (baby carrier required – not pushchair friendly). 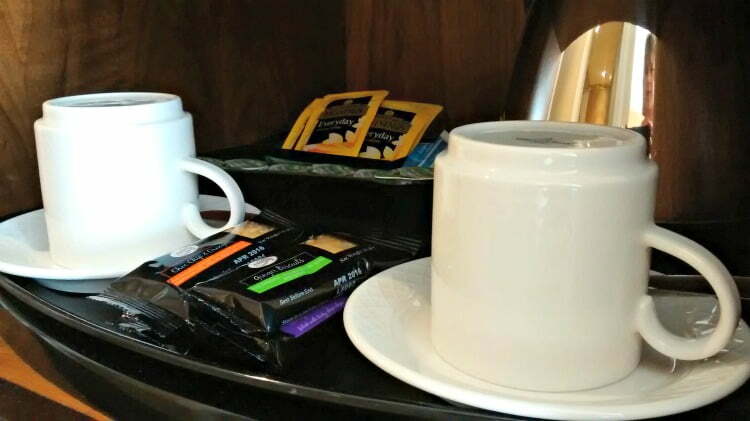 The boys really enjoyed their stay at the hotel – they were made to feel really welcome particularly in the breakfast room where the staff kindly brought them a couple of cups of milk. They also loved heading down to the swimming pool in an evening and I liked heading to the steam room after they had gone to bed! One thing to be aware of is that there isn’t a fridge in your room – this might be important if you are bringing baby milk. There is a restaurant at the Telford Hotel and Golf Resort but this didn’t open until 6.30pm which is a little late for my 2 year old. Instead, we headed to the Southwater complex in Telford where there was a Pizza Express, Zizzi, Nandos etc. It was a bit boring, but after a long day exploring we just wanted something relatively quick and easy. We ate at the Ironbridge musuems during the day. The food was ok – reasonably priced but not the freshest food I’ve ever seen. There were children’s lunchbox options (sandwich, drink, yoghurt etc) for about £3.50 / £4. There were also loads of places to have a picnic at Blists Hill and Enginuity, and loads of tea rooms and coffee shops in Ironbridge itself. If you are in Ironbridge, check out the cupcakes at Queenies (on the main street) – they are amazing! 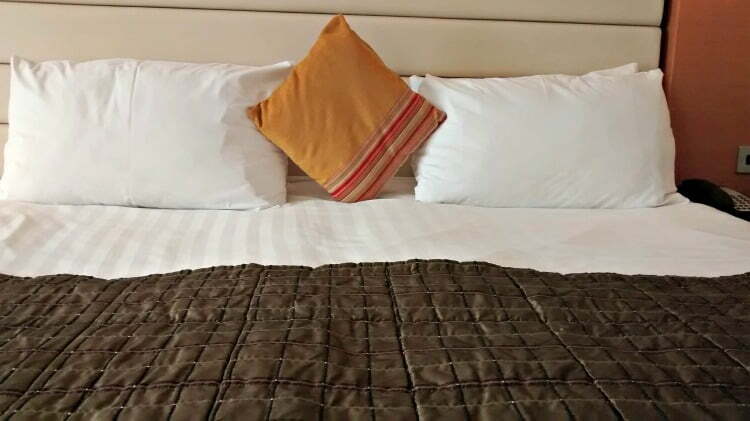 To book a stay at the Q Hotels Telford Golf & Country Club, Great Hay Drive, Sutton Heights, near Ironbridge, Shropshire TF7 4DT call 01952 429977 or visit the website. Thank you to them for our stay. We made use of the great value Annual Passport Ticket which allows unlimited entry into 10 Ironbridge Gorge Museums including the Tar Tunnel, Blists Hill and Enginuity. This cost £27.95 per adult, £16.95 for children under 18 or £68 for a family of two adults and all their children. Under 5s are free. Passports can also be bought online in advance saving 10% and individual entry tickets are available at each museum. There is parking at each of the museums and this costs £2 per day (bring change). There is also a park and ride service around the 10 Ironbridge museums. Great post with lots of useful information!! 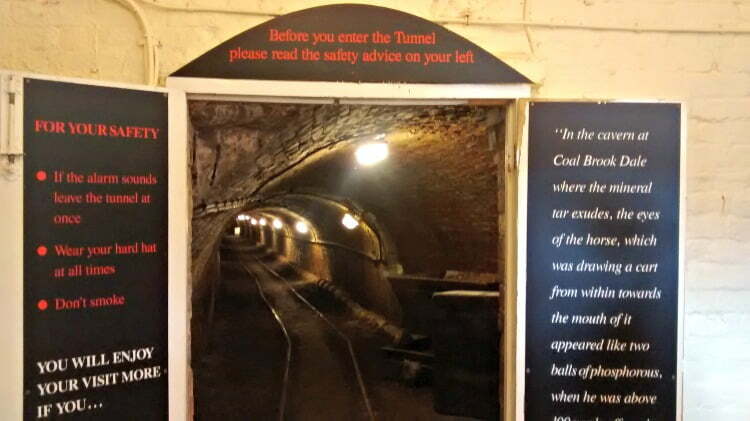 Oh, I’ve never heard of the Tar Tunnel, that looks pretty cool in a geeky kinda way – I’ll have to remember that one! I’ve never been to Ironbridge, been close a few times but never managed to make it. It looks so picturesque though, I really must make more of an effort if the weather is nice next time I’m up that way. I think you would really like it Penny – there is loads to do and see, and the Ironbridge passport is great value. I would love to return and spend a bit more time exploring the area – we didn’t even make it to the RAF Museum which my boys would have loved. 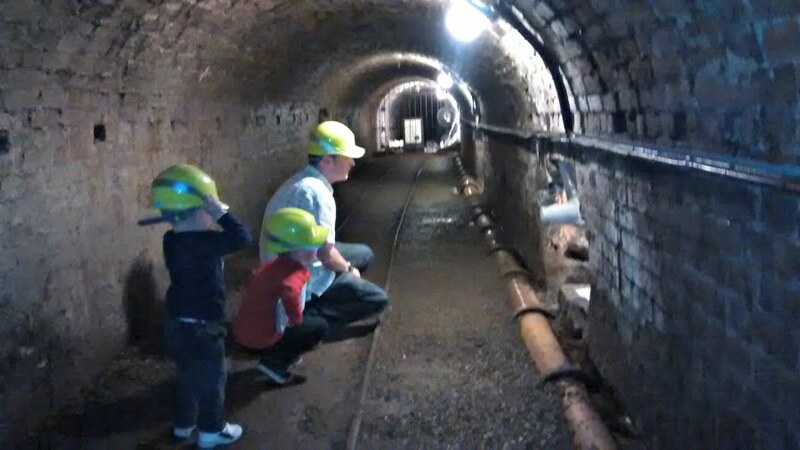 The tar tunnel was definitely a highlight – the boys were so excited about putting their hard hats on and going in! The whole area was really interesting and the gorge was set in a lovely setting. We loved it! 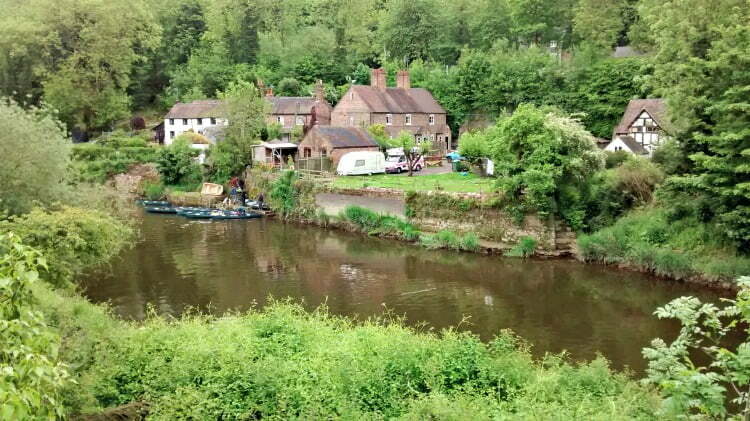 Just wanted to make you aware of our company based in Ironbridge for the last 3 years called Shropshire Raft Tours. We hold the rafting record for the youngest at 2 months old and the most mature at 90 years young. No rapids and people sit back and relax on our trips to a guided tour. We also provide private hire of canoes, mini-rafts, Mega SUP and e-bike and regular cycle hire.